ELKHART, IN — Nickell Moulding, a manufacturer of cabinet, furniture and architectural moulding, recently installed two advanced Barberan profile wrapping machines. Nickell says it uses polyurethane (PUR) glues, which allow the wrappers to provide a permanent, waterproof bond. 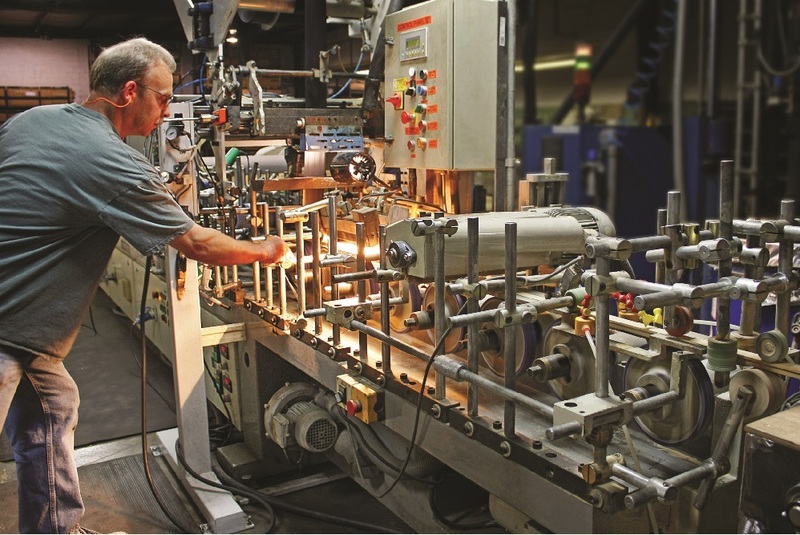 "The incredible bonding strength allows us to use less glue,” says George Nickell, President of Nickell Moulding. "Demand for our wrapped product has been growing and together these machines increase our wrapped profile capacity by more than 60%." Started in 1981, Nickell Moulding, with more than 100 employees, is one of the largest manufacturers of picture frame, cabinet, furniture and architectural mouldings in both solid hardwood and paper and veneer wrapped BisonWood.